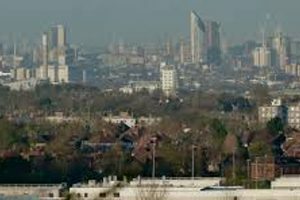 South London is typically described as the area which lies to the south of the River Thames and incorporates areas such as Southark, Lambeth, Bankside and Greenwich. There’s a variety of historical sites and green spaces but some of the most popular locations include the dinosaurs in Crystal Park and the Horniman Museum situated in Forest Hill. The vast majority of the Underground stations lie north of the River Thames but there are many mainline stations which provide easy public transport. The South Circular, M3, M23 and A3 all provide excellent road links in south London. Lanes Driving School has always stood out from the crowd with a long and prestigious history dating back to 1914. We have taught local residents to drive for more than 100 years, with a real commitment to delivering the best service and highest quality tuition each and every time. Over a century of experience has helped us to shape and create a premier driving school, with lesson plans specifically developed to meet every individual’s needs. We appreciate that it can be hard to fit driving lessons into a hectic lifestyle but we work hard to make it as easy as possible for you. All of our driving instructors provide flexible appointments so you can choose the best time for your personal schedule. We believe it’s essential for our students to set the pace of learning and with Lanes you can do just that. We have a number of different vehicles, all of which have the latest technology fitted to provide a comfortable and relaxing lesson. You’ll be able to enjoy all this without any distractions from other students as Lanes guarantees lessons will always take place on a one-to-one basis. To discover more about driving lessons in south London, call us today on 020 8166 5678 or send us a message through our contact page by clicking here. All of our driving instructors are amongst the best you’ll find anywhere with decades of valuable experience plus extensive training. Many of our instructors started here at Lanes so we can have absolute confidence in their expertise and skills. Every instructor is fully qualified, holding DSA Approved Driving Instructor status. We firmly believe that having a good relationship between the instructor and the student contributes much towards the success and we do everything possible to help this. Our students will always have the same instructor; this helps to build up trust and also allows the instructor to accurately assess individual needs and develop a personal lesson plan. 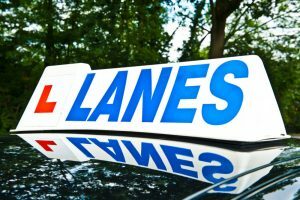 Here at Lanes we have many driving instructors in south London. Contact us today by calling on 020 8166 5678 or sending us a message by clicking here. Even if you’re usually an outgoing and confident person, the thought of having to learn a new skill while being supervised by a stranger could feel very intimidating. All of our instructors are chosen for their excellent inter-personal skills, patience and understanding. No matter who your instructor is you will received plenty of time to learn at your own pace but some female students prefer a female instructor. We have many highly trained female instructors that we can match with female students upon request to help create a more comfortable environment. To book a female driving instructor in London, give us a call today on 020 8166 5678 or email us through our contact page by clicking here. 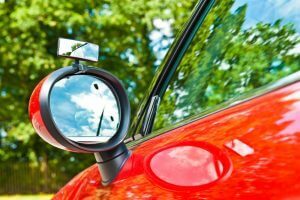 There are lots of choices about what car to drive but one of the first ones you’ll need to make is whether to learn in an automatic car or a manual. The latter may have many fans amongst experienced drivers but it can be far more challenging. When you drive an automatic you don’t need to consider whether the gear changes will be jerky or worry about stalling the engine. If you’re interested in automatic driving lessons, call us now on 020 8166 5678 or email us via our contact page by clicking here.